LVL Lashes has created a storm in the beauty world by straightening rather than curling eyelashes to give you a fabulous wide-awake appeal that is completely natural AND yours! With just a little help from this innovative new treatment it will lend a remarkable amount of length, thickness and uplift to your very own eyelashes! 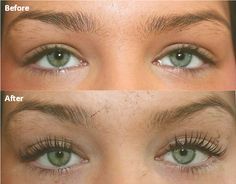 The whole process takes around 45 minutes and will last the life of your eyelashes (approx 8 to 12 weeks). No more waking up with false eyelashes on your pillow or spidering down your face - these are YOUR OWN EYELASHES. The therapist will choose an LVL lashes Silicone Shield for the shape of your eyelid and secure it as close to the lid as possible to the lashes. Then, using gel formulation, she will secure your lashes individually over the shield. The process will take up to 15 mins depending on the thickness and length of your lashes. Once they are all secure she will apply an LVL Lashes Lifting Balm with conditioning proteins making sure every lash is coated. The eyes are then covered with pads, cling film and a warm towel. A volumising fix is applied after 15 mins and the eyes are covered with pads for a further 5 mins. The Shield is then removed gently with a cotton bud and purified water finally a lubricating LVL Lashes Revitaliser is applied to encourage good condition and growth.